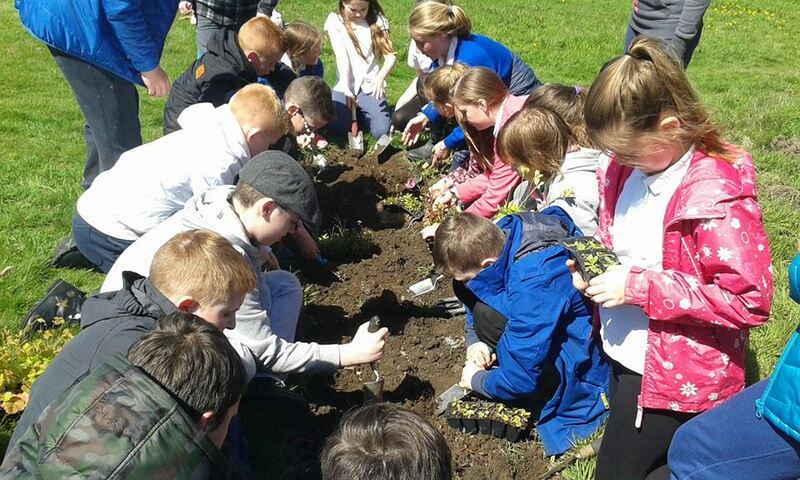 Cumbernauld House Park now features a new wildflower area, thanks to the work of the staff and pupils of Kildrum Primary School and a grant from Keep Scotland Beautiful. 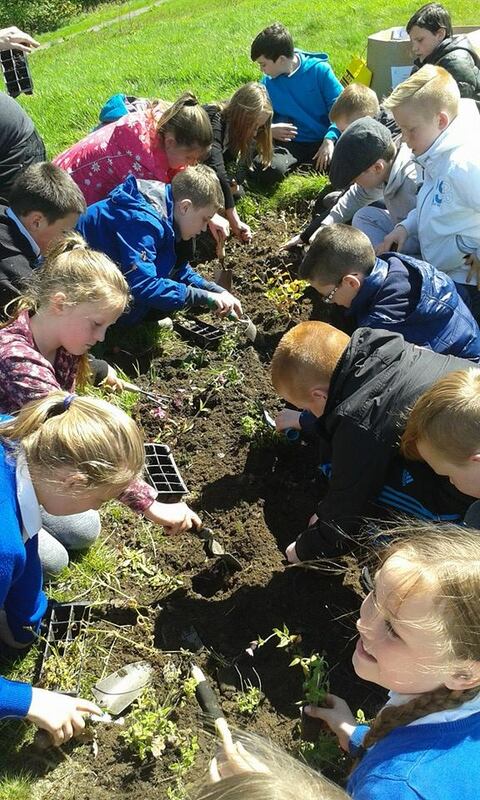 A small area of the park, close to Cumbernauld Glen, has now been planted with a range of wildflower plug plants following a visit from senior pupils of Kildrum Primary School, who thoroughly enjoyed their visit to the park and getting their hands dirty to create this new wildflower area. The plants were purchased following a grant of £250 from Keep Scotland Beautiful, distributing funds from Tesco, following the implementation of the Scottish carrier bag charge. Six local groups, including the Friends of Cumbernauld House Park, were successful in securing £250 Keep Scotland Beautiful grants. Mark Bevan, Director at Keep Scotland Beautiful, said: “We’re delighted to have been able to award six groups in the Cumbernauld area with £250 each, to make small improvements in their local neighbourhoods. In total 200 grants have been awarded by Keep Scotland Beautiful, building on the support we already give to thousands of communities across Scotland”. Adam Smith, Chair of the Friends of Cumbernauld House Park, said “We hope this section of the park will become a vibrant wildflower area, complimenting the fantastic character of Cumbernauld House Park and creating a haven for wildlife through improved biodiversity, and we thank Kildrum Primary School and Keep Scotland Beautiful for their invaluable assistance with this project”. The plug plant varieties now featured within the park include Red Campion, Wood Sage, Dog Violet, Meadowsweet, Wood Forget Me Not, Foxglove, Wood Avens, Cowslip, and Ragged Robin. Seeds were also sown from the Grow Wild campaign, in association with the Royal Botanic Gardens at Kew, and include the varieties Yellow Rattle, and Meadow Buttercup, among others.